Many education and technology conferences are expensive, running over a thousand dollars (or more!) per person — money most of us just don’t have to spare. Not only that, many take place out of state and in large cities, which can significantly add to the cost to attend. 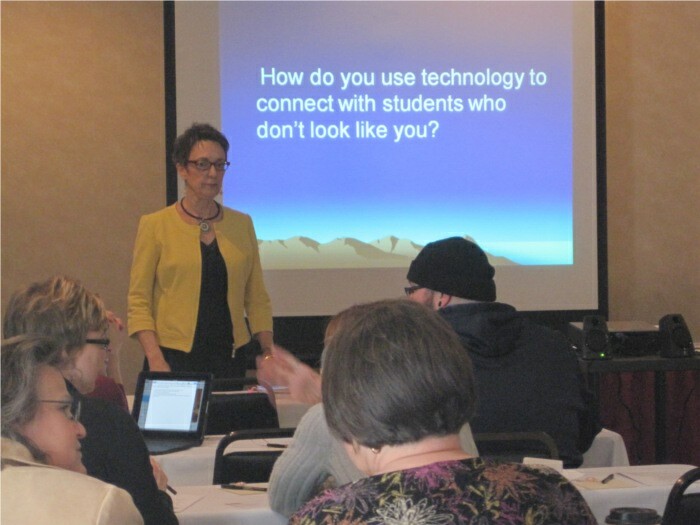 Despite this barrier, it is important that teachers, technology specialists and administrators are able to attend professional development conferences like these. Lucky for us, there are more affordable options and one of them is right here in central Missouri. 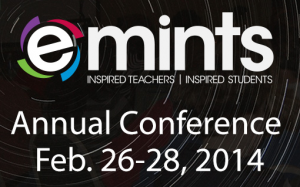 The eMINTS Annual Conference welcomes all educators and takes place each year in Columbia, Missouri, with the 2013 conference fast approaching, running from February 27 – March 1, with registration closing soon, on January 25. For those that don’t know, the eMINTS National Center is a non-profit organization that has offered quality professional development programs for K-20 educators since 1999. They’ve reached classrooms all over the country and even have participants as far away as Australia. While it’s highly recommended to participate in the full eMINTS program for the most rewarding experience, those on a budget can get a taste of the program at the annual conference, which takes place over three days and offers various price options for those who wish to attend all (or part) of the conference. If you are still unsure on whether to attend, you should take a look at the full conference schedule ahead of time. The eMINTS crew has some enriching sessions planned for this years conference and are welcoming two phenomenal leaders in education as keynote speakers. On Thursday, February 28, Ken Shelton brings us the keynote presentation called Generation NOW: 21st Century learning. This interactive keynote will be exploring ways that current digital resources “can foster increasing degrees of engagement from a teaching, learning, and creating perspective”. Then, on Friday March 1, the keynote speaker will be Dr. Howie DiBlasi with Building Better Teachers: Habits of Highly Effective 21st Century Classrooms, which focuses on “the most important ingredient of a great education: effective teachers”. For more information on the keynote speakers and their conference sessions, check out the full description of each session on the conference website. In addition to the keynote speakers, the conference schedule is full of sessions for all interests, tackling various 21st century teaching topics, technology and tools. Some of the topics featured include: Backwards Design, Collaboration, Edmodo, Inquiry, Apps, iPads, Google, Twitter, SMART Notebooks, and much more. View the full schedule online for detailed descriptions of all the sessions and workshops taking place throughout the conference. I think that the most appealing aspect of the conference is that almost all of the speakers and participants are real eMINTS teachers who’ve seen real results. It’s an anticipated yearly event where all these great minds come together to share their wisdom and insights with those who attend. Learning is a lifelong skill and conferences like the eMINTS Annual Conference provide opportunities to expand your knowledge and further develop your skills as an educator, allowing for that exchange of information to flourish outside of individual classrooms and school districts and to reach educators all over the world. If you are interested in attending, you should act now — registration closes next Friday, January 25th. For more information or to register for the eMINTS Annual conference, please visit the conference website or www.emints.org. Are you looking for ways to network with other educators and harvest ideas to take back to your district? 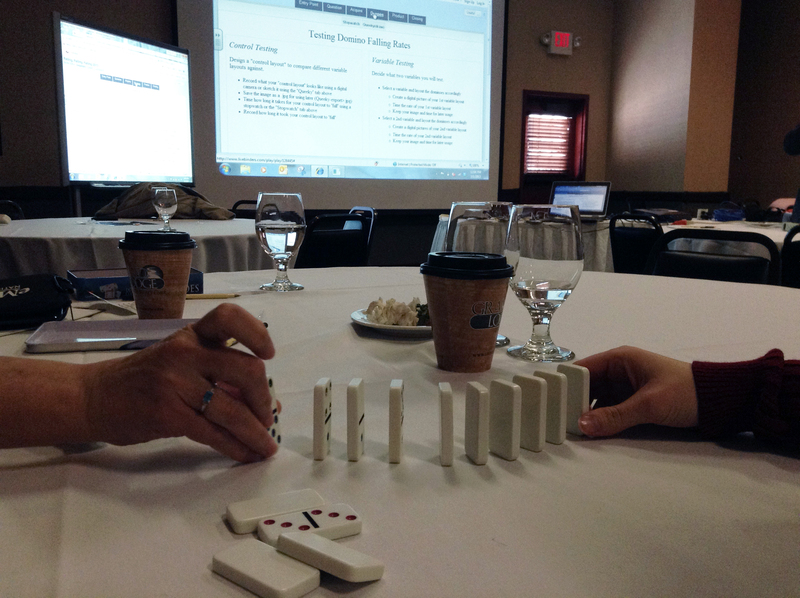 Join the learning at the eMINTS Conference! 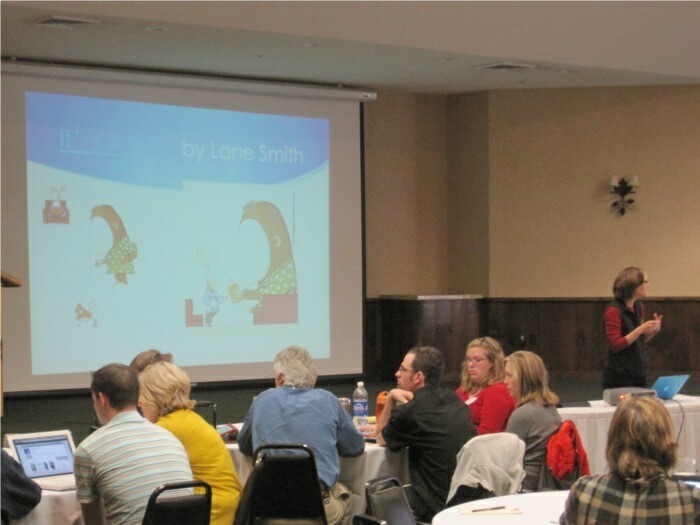 We are now accepting proposals for 1-hour and 2-hour presentations at the 14th annual conference to be held in Columbia, MO February 26 – 28, 2014. Come and casino jameshallison share the amazing things you and your district are doing! 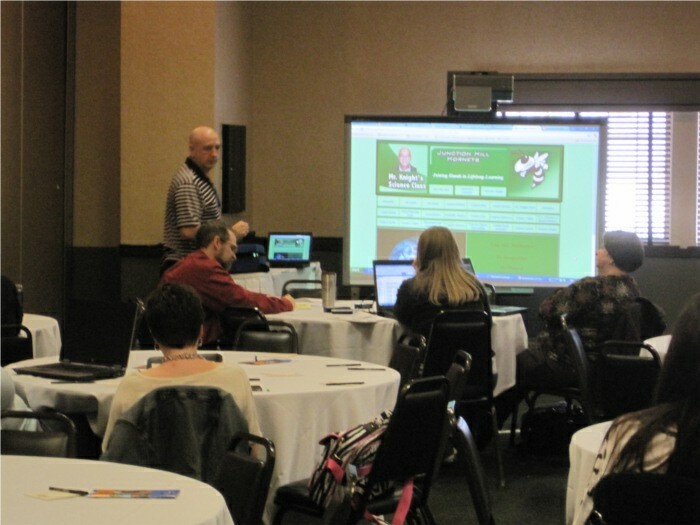 One presenter per accepted presentation proposal receives free registration for the 2014 eMINTS conference. 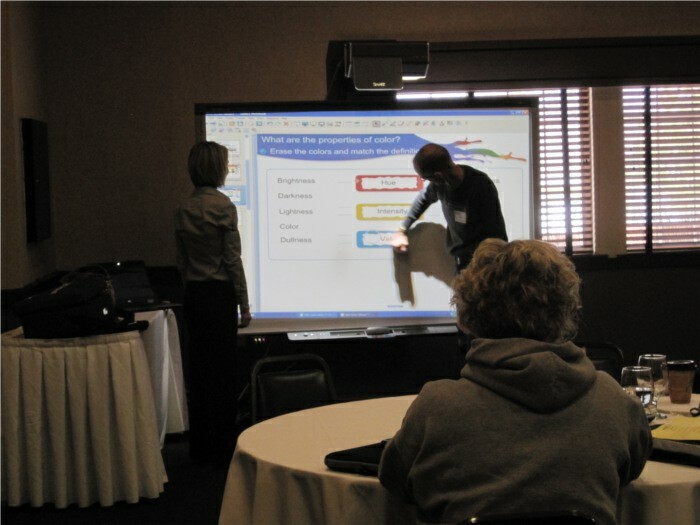 Certified eMINTS instructional specialists can earn 2 re-certification units by presenting at the eMINTS conference. Our good friend Bernie Dodge presents on how the best WebQuests are those built around tasks that resemble the authentic work that people do outside of school. Design patterns provide us with a way to describe that work and make it easier to create WebQuests that better prepare our students for life. This session will be the world premier (since yesterday’s session) of a new set of design patterns that will kick lessons up a notch. 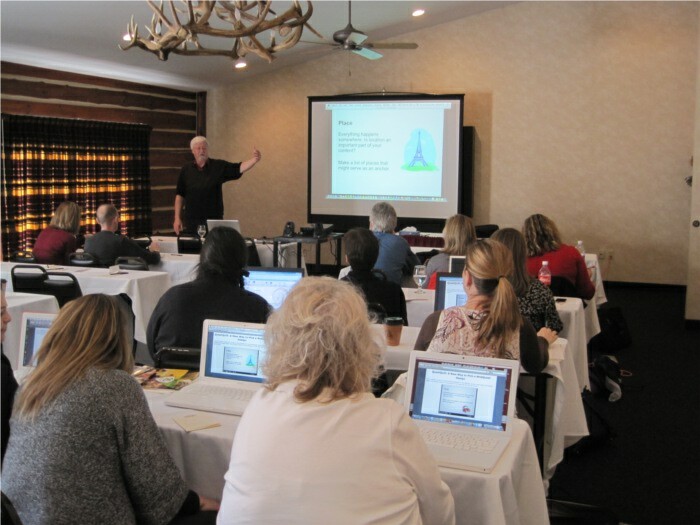 Presenter Denis Knight provides participants an opportunity to gain a better understanding of various web-based instructional opportunities to use to enhance reading and writing skills. 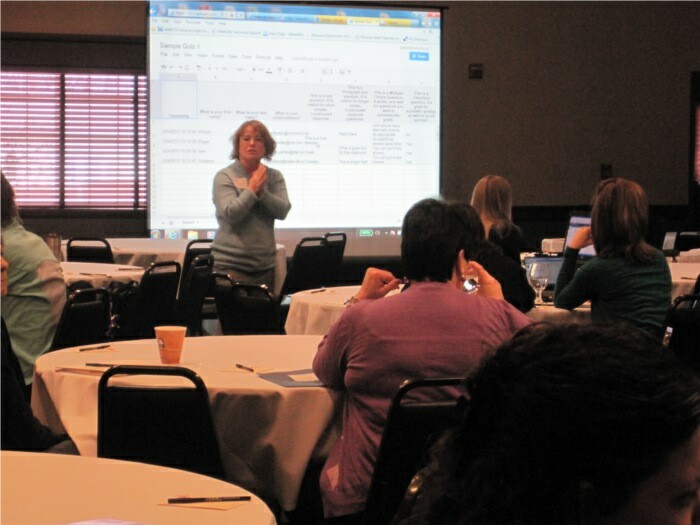 Participants learn how to use online journals, blogs and wikis to develop innovative ways to not only communicate with students, but provide an avenue for creative written expression. Teachers can generate online journals for students to reflect on classroom activities; blogs for addressing constructive response questions and article reviews to address reading comprehension. 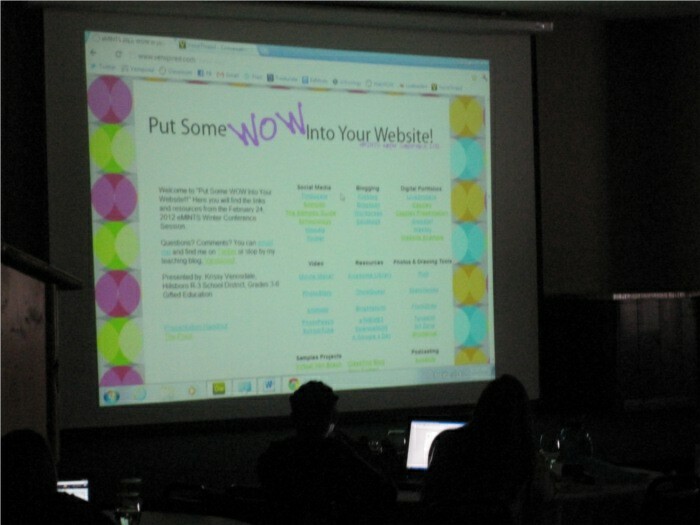 Participants learn to create a classroom wiki to provide opportunities for interactive discussion and peer evaluation. When used with appropriate assessments, these online sources can give teachers the flexibility to use internet sites as a way to move from the paper and pencil past to a new and exciting learning experience. Presenter Stephanie Madlinger helps teachers expand and take ownership of professional learning by creating a PLN (Personal Learning Network). Having a PLN allows one to learn and share with others around the world, 24/7. A PLN is a reciprocal network created and based on your interests and needs. Generate multiple opportunities to learn from, connect with, gather information and resources, then create and share with people like you. 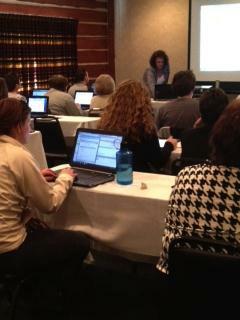 Participants learn which online tools to use to personalize their own PD. They explore online learning communities like Google Groups and SchoolTown; social networks like Facebook and Twitter; and social bookmarking like Delicious and Diigo. Krissy Venosdale of Hillsboro R-3 School District helps teachers explore ways to use the classroom website to enhance the learning environment. Using various Web 2.0 tools, sprucing up certain areas of one’s site, and encouraging interaction on the classroom site will enhance learning both in and out of the classroom. Digital portfolios, online projects, and weekly contests can all be used to engage students in a site and most of all, in learning. Class, get out your cell phones please for bellwork. Seriously! Presenter Roger Brallier of Mexico Public Schools help participants learn how to use cell phone technology to add an extra spark to bell work or preassessment in the classroom. Roger demonstrates how to reduce “under the table texting” and unlock the power of the cell phone (which may be greater than some of our older computers). 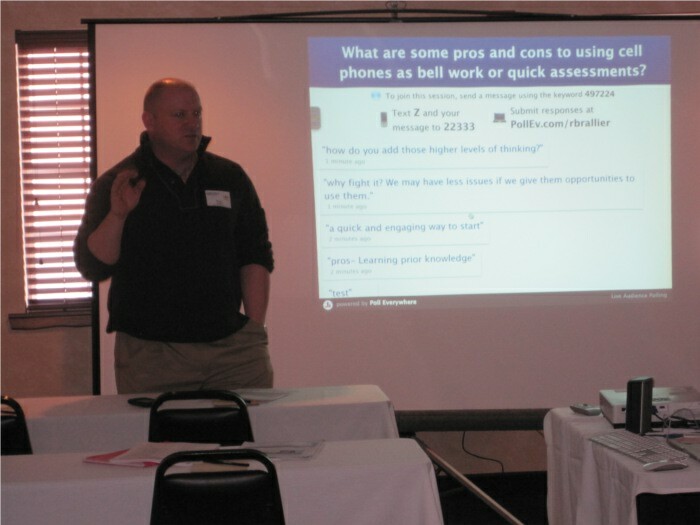 Additionally, participants learn the basics of “Poll Everywhere” – a free online tool that shows real time results using the texting feature of a cell phone. Even without a phone, one can still use a webpage link. 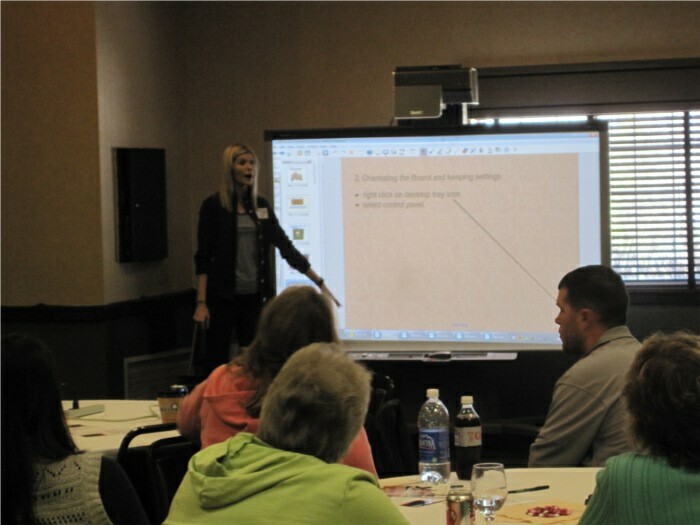 Presenter Melody Paige of Monett School District presents a flipped classroom approach that entails “flipping” instruction in which students watch and listen to lectures for homework or at other non-instructional times. This gives learners control to pause or rewind lessons for understanding. Precious class time is then used for what typically was done as homework: tackling difficult problems, working in groups, creating, collaborating and researching. The concept is simple; but how does one make the “flipped” approach work in the real classroom? What software is needed? In this session, teachers watch videos of this concept in action and provide many resources for creating flipped content. There are many free completed lessons and videos ready for use in the classroom. 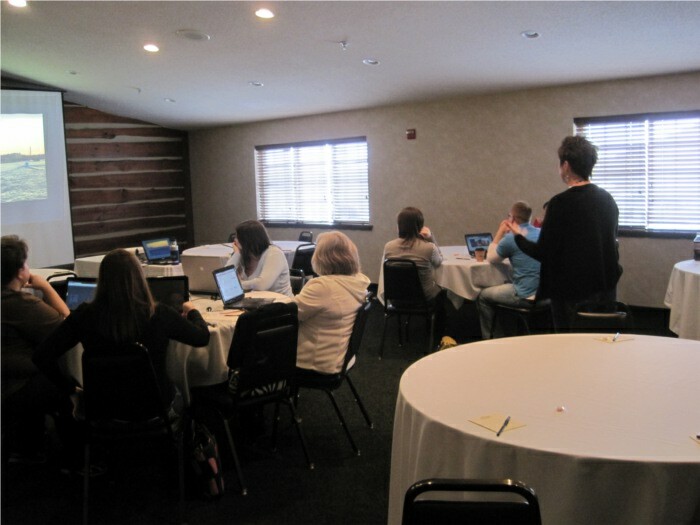 If you missed eMINTS Conference 2012, that means you also missed a great breakout session, Google Docs in the Classroom, presented by Google Certified Teacher, Stephanie J. Madlinger, Ed.S. 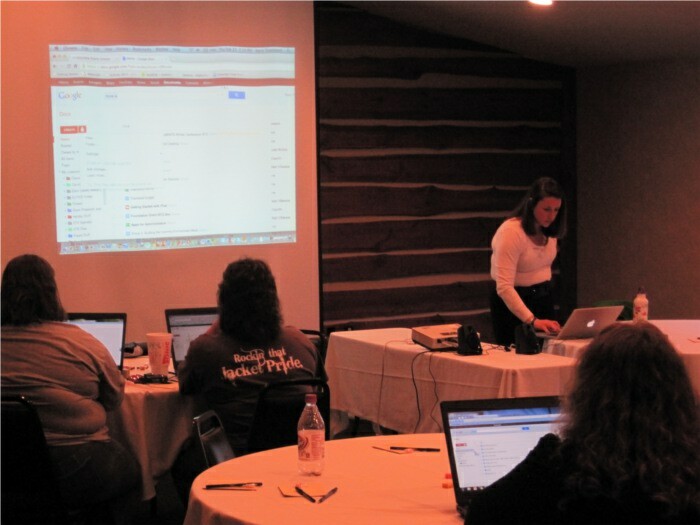 Stephanie guided participants through everything from utilizing Google’s URL shortener, goo.gl, to collecting and organizing information from multiple individuals with Google forms. When sharing Google documents or presentations, up to ten collaborators may work on the online file simultaneously; up to 50 may work concurrently on Google spreadsheets. Of course, as owner of a Google Doc, you determine what stays private, what is shared, and what permissions collaborators are granted. A tool that was new to many participants was Google Drawings. Need to create a diagram? You can do that with Google Drawings as well! One of the best features of Google resources is that they are all free! Whether you need email for your students or collaborative docs to can access anytime anywhere, Google has the tool. Google in Education provides a nice overview. Bottom line: it seems like there is now a Google Doc for everything! What are your hunches about how students and teachers might use Google Docs? If you need some ideas, check out Google Docs for Educators. Stephanie graciously agreed to share her presentation resources with all of you. It’s no surprise that they’re all organized in a Google Doc! Debbie Perkins is an eMINTS Instructional Specialist. The air in school is filled with questions. They’re asked by teachers, they’re found on tests, they’re written on the white board. The most powerful questions, though, are those that come from students themselves. 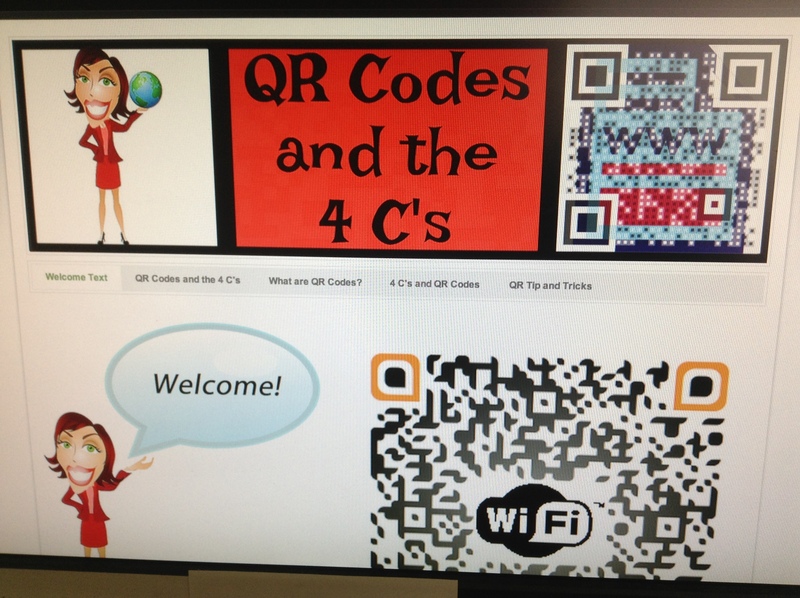 How can we use technology to encourage, organize and improve student-generated questions? We’ll offer some practical suggestions. Inquiry is a key piece in the eMINTS instructional model. So, Bernie’s talk on student-generated questions is right up our alley. He begins with the idea of the ideal classroom versus one situated to only respond to a teacher’s question. 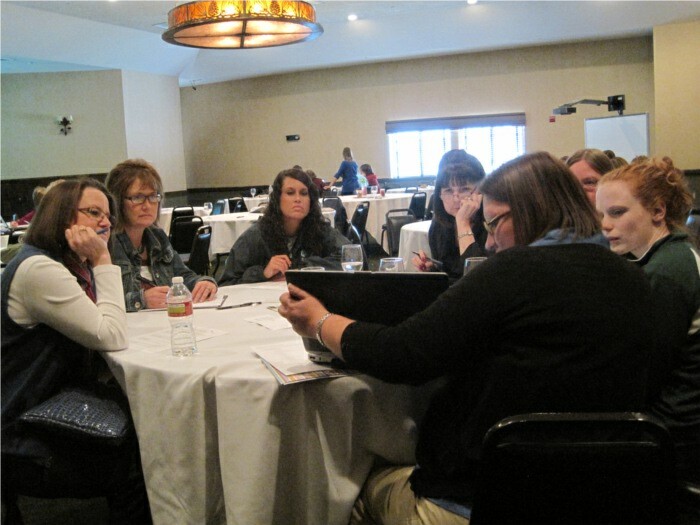 Participants reveal visions that match our model as well of student activity and engagement. Bernie’s talk covers student-generated questions, something new called the Questions Formulation Technique, WonderPoints, WHex, CircuitBoard Games, WebQuests vs SGO, and so what? Bernie adds a new book to add to everyone’s reading list: Make Just One Change. From the book, Bernie latches onto the idea of teaching kids to generate their own questions; this one simple shift is all we have to do. The authors of the book have established the Right Question Institute. The technique they promote is to establish a question focus, including rules for generating questions. Have students generate questions, categorize between open and closed questions, improve the generated questions, and prioritize those questions. Bernie demonstrates a process in which questions are acknowledged, lists of questions are compiled, lists are refined and questions are categorized as open vs. closed. Then, students experiment to see how questions can be altered. Once this process is started, it builds on itself. Bernie introduces Project nGage, promoting smartphone use in schools. His student teachers in Sand Diego use smartphones in the classroom as do their students. Bernie makes a clear distinction that these smartphones are not to deliver learning. Rather, their purpose is to help create an environment for learninng to take place. The idea is to think of them as advanced devices for taking in information, not delivering it. This initiative is developing an app called WonderPoints where students identify location and boundaries, recording all kinds of data. Students can use the app to post questions for discussion. Even with such a great tool, open-ended wonder is a hard sell. As with anything in education, it’s an easier to sell when there are boundaries. So, the easy fix is for teachers to limit what students do with these great mobile tools by simply narrowing the questioning focus on particular topics. Overall, it’s great to have Bernie back once again. We look forward to seeing him at future conferences!